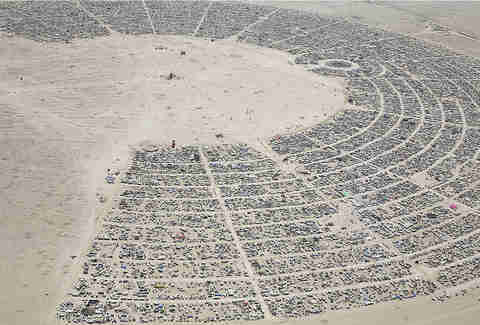 At this point, hopefully most people know that Burning Man is not just a bunch of naked hippies doing "mind-expanding" things in the desert. Well, okay, it is that, but also so much more. And as an SFer, chances are you know someone who is going, has been, or will try and convince you to go. And even if you do, in fact, get the gist (you're pretty sure it involves sequins and pallets of Tecate? 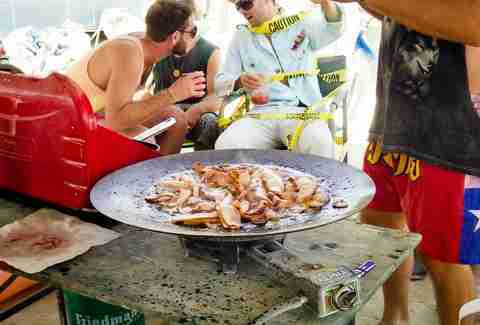 ), here are 20 legitimately badass things about Burning Man that you wouldn’t know unless you were there. AND it’s pretty easy to book a charter flight or flight-share in and out (meeting a pilot at the local bar isn’t a bad way either). It even appears on Google Maps. 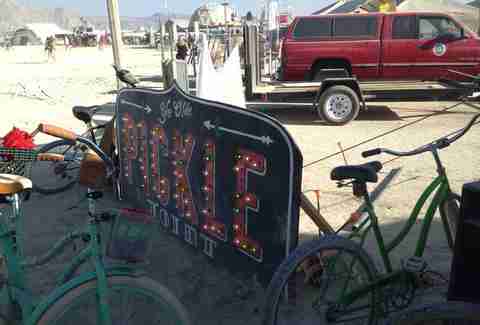 If you’ve never had a pickle martini, you haven’t really lived. SF bartenders -- take note! Ice sales are donated to local counties -- some of the poorest in the country, with last year's donations coming to $585,000 (that's a lot of ice). Pretty much all of which exist thanks to insane art grants. 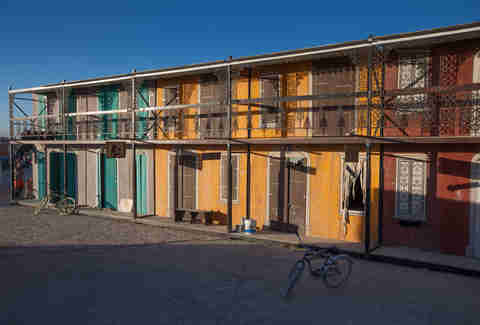 The Black Rock City art program has provided more than $1 million, Black Rock Arts Foundation has coughed up more than $2.5 million (the two groups joined together this summer), and The Civic Arts program has placed more than 38 projects in cities around the country. 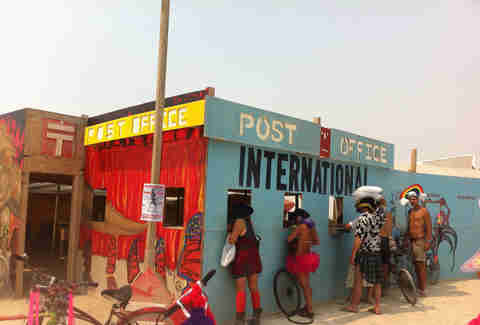 ... That allows residents to send and receive mail from anywhere in the world, including from other people at Burning Man. Oddly enough, these people are the ones who seem crazy and insane to a city that thrives on wearing tutus, dancing naked, and walking through dust storms voluntarily. They serve beignets and chicory coffee, as well as somehow offer a functioning farmer's market with fresh produce (there's also a guy with a bike-powered juicer because, obviously). ... in open ceremonies for the public! They show classic B&W films several times a night, and serve concession candy and popcorn. It's a miraculous thing to actually find, and you will almost always want a Skittle. Like you do in the desert. To get an idea of who's coming, where they're coming from, and what type of people they are (18% of participants came from foreign countries last year, with Canada leading at 7.2%). So much so, that a large group of volunteers spend a full month combing the dust in a grid broken down in 1sqft blocks to pick up every piece. There's even a post-event map released with red, yellow, and green ratings given to each spot, with past years' ratings highly considered when allowing a theme camp to set up. Burners spend money before and after in the Reno area. Non-experienced jumpers can go up in the planes just for fun [Acrophobic Editor's Note: *screams internally*]. 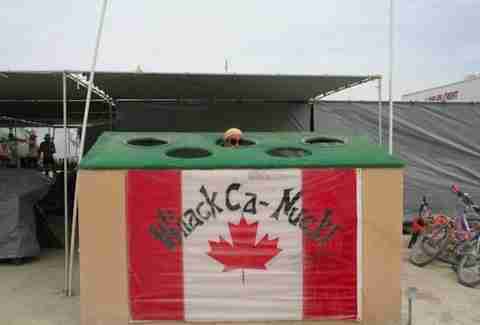 A game with a giant DDR screen and flame-retardant suits, where mistakes were punished with fire guns. Dead serious. 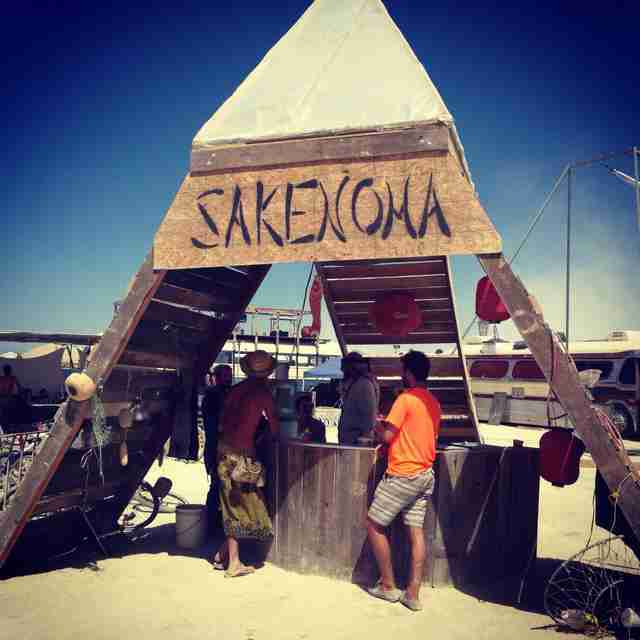 And a community dinner that draws hundreds of people to experience what is one of the holiest nights on the playa. You know, if you’re looking for something a little classier than beer and whiskey (warning: this may also be a shameless plug for my camp and my family whom I will greatly miss this year). 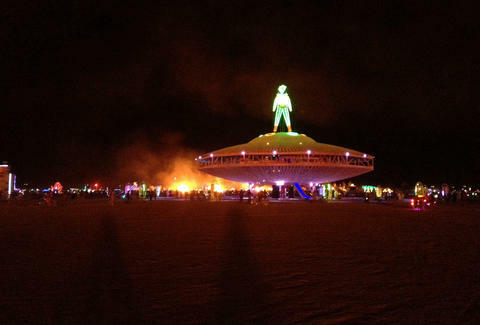 Becca Pariser has been to Burning Man six times, and while she is no expert, she knows enough to make sure she always has a headlamp before entering a Porta Potty, and that no, Daft Punk isn’t really playing at the trash fence. Follow her on Twitter at @beccapariser.